To the untrained eye, the 130,000-square-foot Peachtree Dunwoody Medical Center might look too specialized for most health care real estate owners. The $40 million price tag wouldn’t dazzle health care REITs on the hunt for mega deals. But for Physicians Realty Trust (NYSE: DOC), the location in Atlanta’s so-called “Pill Hill” was the perfect portfolio addition. The Milwaukee-based REIT, which is nearly two years old and has just 14 employees, was started with 19 buildings acquired or developed by health care real estate funds managed by B.C. Ziegler & Co., a specialty health care investment banking firm located in Milwaukee. Its goal isn’t to build another fund that has to cash out, but to build a specialized health care real estate company that will stand the test of time. “The types of investments we’re making, there’s a purpose,” Thomas says. 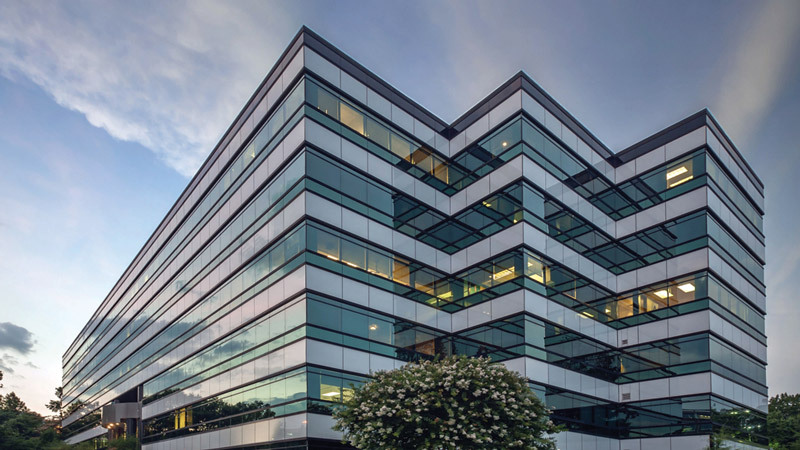 Physicians Realty Trust’s niche eschews the super-sized deals that grab headlines in favor of smaller buildings with medical-centered tenants, which tend to stay in the space longer, given the cost of moving complicated equipment. It is also geographically diversified beyond retiree-heavy Florida, with properties in large markets such as Atlanta and Chicago, but also in smaller areas including Kenniwick, Wash., and Danville, Ill.
Physicians Realty Trust’s focus has helped its share price soar and consistently hit new all-time highs since going public in July 2013. The company is on track to cross the $1 billion-in-assets mark in 2015, potentially helping it secure a coveted investment-grade rating. Investors were pleased by the 90-cent initial dividend, which was above the average yield in the 4 percent range for other health care REITs, according to John Roberts, an analyst with Hilliard Lyons. The stock “allows investors to gain exposure to the medical facilities area, a very popular asset class,” says Roberts, whose firm acted as an advisor and manager of a securities offering for Physicians Realty Trust in the past year. Such rapid growth might have been more difficult a decade or more ago. But, the health care landscape is changing dramatically, fueled by everything from regulatory changes to age – of buildings and people. Mark D. Theine, SVP, Asset & Investment Mgmt. While the effects of the Affordable Care Act are still being sorted out, no one can argue that millions more Americans are seeking health care and keeping doctors busy. Marcus & Millichap research estimates that 27 million non-elderly people will gain coverage in the next decade. Meanwhile, the baby boomers continue their march into a doctor-filled retirement: Those in the 65-plus age group, which is expected to surge by 17 million individuals in the same period, average 2.5 times the number of physician-office visits than the rest of the population. This comes as much of the nation’s medical space is showing its age. Built after World War II, mammoth hospitals are outdated and ill-suited to patients’ needs. Developers have certainly caught on. Nationwide, about 8 million square feet of medical office space was completed in 2014, up from approximately 6 million in 2013, according to a report from Marcus & Millichap focusing on the market in the second half of 2014, the latest statistics available. Physicians Realty doesn’t want to own general hospitals. With technology reducing the number of long-term stays in cavernous high-rise facilities that are expensive to run, the newer space is smaller, more efficient and closer to consumers. “Patients don’t want to travel. They don’t want to be in a hospital. They want access to care in a very good location,” says Todd Perman, executive managing director of Global Healthcare Services at Newmark Grubb Knight Frank. The firm recently represented the Columbus Regional Healthcare System in a $34.5 million sale-leaseback transaction, giving Physicians Realty 12 medical office buildings in Columbus, Ga., and one in Phenix City, Ala.
Net absorption among properties built since 2009 is about 6.6 million square feet during the most recent 12-month period, an astounding 96 percent of the marketwide total, according to Marcus & Millichap’s report. To be sure, medical space can be harder to fill. The user base is more limited and long-term leases keep dramatic rent gains in check. Once a tenant is secured, the space is pricey to build out–double or more what it costs to do typical office space. “You don’t just put an MRI imaging center in a general office building,” Thomas points out. He adds that the company tries to pass on as much cost as possible to tenants to increase their investment–and desire to renew the lease. Rents, meanwhile, continue to grow. National asking rents averaged $22.47 per square foot in the third quarter, slightly above the prior year, and in line with Physicians Realty’s rates. Rents for properties constructed within the past five years, which contain desirable floor plans with flexibility and digital infrastructure, command an average of $27 per square foot. That’s 35 percent above 1970s-vintage buildings, according to Marcus & Millichap. This shows “there’s a flight to quality,” Perman says. It’s no surprise that sales of medical office buildings are increasing (sales velocity climbed 15 percent in the first nine months of 2014 from the prior year) and average prices of $192 per square foot are near 2007 levels. REITs, including Physicians Realty Trust, accounted for 30 percent of the total dollar volume. (Unlike with other property classes, international buyers have shown minimal interest in the health care sector.) Brisk sales are expected to continue through 2015. Thomas has made it clear he doesn’t expect to stop shopping any time soon. As the company has noted in securities filings, national health care expenditures are projected to grow from an estimated $2.8 trillion in 2012 to $4.8 trillion by 2021, representing an average annual rate of growth of 5.7 percent. “We’re just trying to collect $1 billion” in rent, Thomas says. When you put it like that, it doesn’t seem like he’s asking for too much of the pie. Dawn Wotapka is a freelance writer for REIT magazine.